Buy IBM BladeCenter HS22V Server At A Discounted Price in India, This IBM Blade Server Comes with Intel Xeon Processors, 18 DIMM Slots of DDR3 Memory, SATA SSD Hard Drives (Supports Raid 0 & Raid 1), Single Power Supply Etc. Are you searching for a server that can run your broad range of workloads exceptionally well? Then try the IBM BladeCenter HS22V server. With a feature-rich design, the refurbished IBM Blade HS22V server offers flexible configurations, balanced performance, and simple management. The Blade server provides outstanding performance for virtualization with new levels of CPU performance and memory capacity. 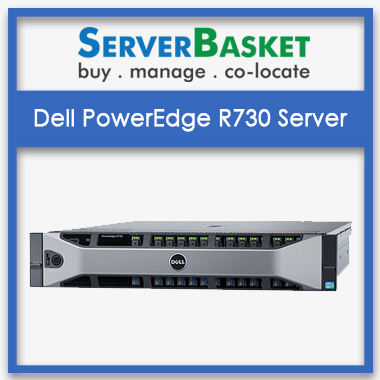 Also, this Refurbished server helps to run your other workloads like infrastructure and enterprise applications exceptionally well. The refurbished IBM BladeCenter HS22V is very easy to use the server that comes with great cooling and power features; it is highly energy efficient. 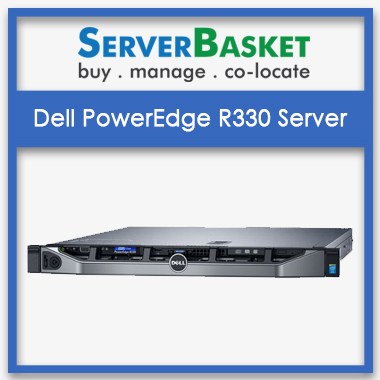 Buy highly-reliable IBM Blade center HS22V server from Server Basket at a cheaper price. Also receive additional benefits like instant shipping, one year warranty, pre-sales assistance, and 24/7 technical support. The IBM BladeCenter HS22V server is an innovative solution for running complex applications efficiently. Being the refurbished server, it comes at a portion of the cost of a new server. The server goes through a wide range of testing procedure before being sold to a customer. 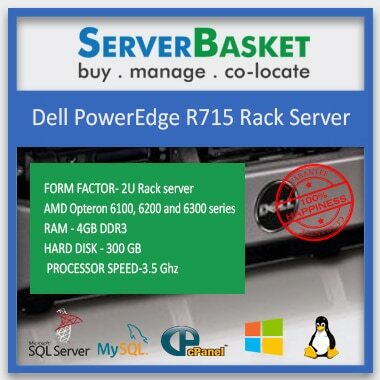 Buy this Server from Server Basket to get more discounts than the actual market price and save your money. Now instantly render geospatial visualizations, and interactive charts as the refurbished IBM BladeCenter HS22V supports many GPU cards. Experience zero latency on big data visualization. Also, the server comes with Matrox G200eV video core that offers 16MB video memory. The server is compatible with a wide range of rendering softwares including VRay, Octane Render, Cinema 4D, Mental Ray, 3Delig, Clarisse, Arnold, Arion, Artlantis, Coron, Enscape, Felix Render etc. With two hot-swap storage bays that widely supports SATA and SAS drives, you can easily remove and replace drives during need. For instant virtualization, this low-cost server comes with an optional embedded hypervisor. For easy remote supervision and cKVM functions, the refurbished IBM BladeCenter HS22V comes with Integrated Management Module. For easy serviceability and maintenance, the server is embedded with Predictive failure Analysis and light path diagnostics. With IBM BladeCenter HS22V you get a massive CPU power as it offers the frequency of up to 3.6GHZ and 12MB L3 Cache. The model comes with 18 DDR3 DIMM slots with a memory capacity of up to 192 GB and is capable of running at a memory speed of 1333MHz. The deadline software we offer additionally with this server will help to run all the CPUs in a single chassis as a single CPU. The H7870 chassis supports up to 14 blade servers. Now effortlessly meet the power, performance and innovation needs of your data center as intel Xeon 5500, 5600 processors including Intel xeon E5507, E5540, X5570, E5503, X5650, X5670, X5680, X5690 Processors . The specialty about these processors is that they intelligently adjust the server performance as per your application needs. X5600 processors come with a range of advanced technologies and security features that helps to boost your server performance and guarantees 100% uptime. As per IBM BladeCenter HS22V specifications, it has a very flexible and scalable architecture as it comes with integrated storage, networking, and management infrastructure. The server not only comes with the maximum memory capacity but also with two 2.5” SFF bays that support SAS SSDs or HDDs. The maximum internal storage capacity this server offers is up to 2 TB. The IBM BladeCenter HS22V is well supported by H7870 Chassis. The server gives top-notch performance when used with this chassis. IBM H7870 Chassis is well designed for the operating environment and a mix-and-match set of the servers that share both cooling and power within the chassis. Trust us!!! Our price is the most competitive price in the market. 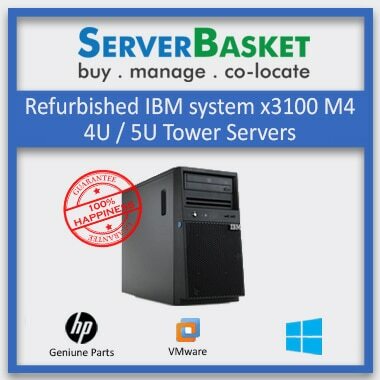 The server being refurbished comes itself at a lower price. While Server Basket also offers its additional discounts being directly associated with the brand. You won’t receive the high-end reliability and such unbelievable discounts on IBM BladeCenter HS22V server from any other server retailers. 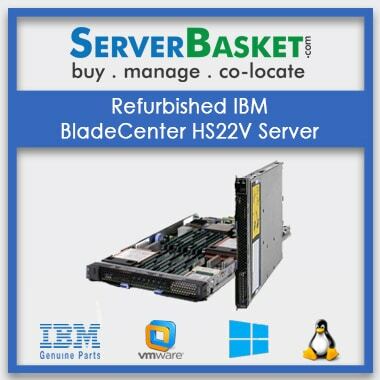 The refurbished IBM BladeCenter HS22V comes with a 1-year warranty period that is applicable only for spare parts. Whereas the warranty period for chassis remains in force for compete 90 days from the date of purchase. Server Basket warranty means that your product is free from any electrical failures during normal use. If your server experiences any failure within the warranty period, then you receive either free repairs or instant replacement. We understand your urgent server need to fulfill your pending business requirements and so provide instant shipping in any corner of India including Bangalore, Hyderabad, Mumbai, Chennai, Hyderabad, Kolkata, Jaipur, Noida, Bhopal, Surat, Chandigarh, Coimbatore, Agra etc. We fulfill our commitments on time and ensure that you receive your upgraded refurbished IBM BladeCenter HS22V server within 2-3 working days. We also do multilayer packing of the servers so that it reached you without even a single scratch.